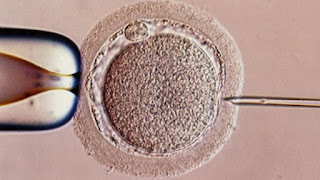 Through a new in vitro fertilization (IVF) technique a boy was born with DNA from three parents. Researchers have questioned if the number of mitochondrial DNA will help with a successful pregnancy. This trial was done on a woman will taking her egg a mans sperm and also introducing a female donors mitochondrial DNA. 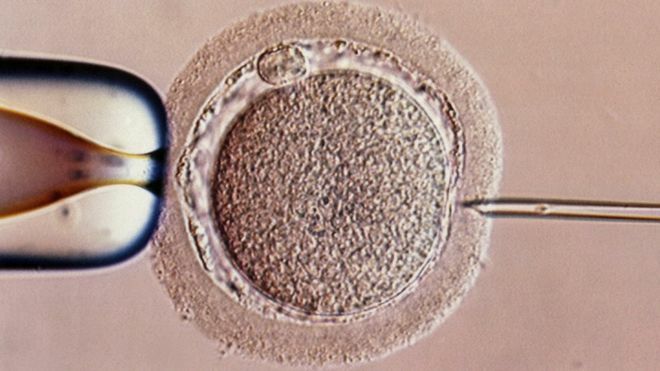 The woman had tried IVF four times and was unsuccessful each time until the experiment. There not the only ones trying this method of in vitro fertilization currently there are already eight other implanted eggs and 24 other women signed up for the trial. Although, this may seem like the perfect solution for women that want to get pregnant it's only been approve for families that have rare mitochondrial diseases. I think that the mitochondrial DNA could've been helpful in the IVF treatment but this is the first of this kind of study and not enough information to justify using mitochondrial DNA. This seems very interesting and would definitely be helpful to some but I think could mislead or give false hope to others. However, I think that this sort of thinking would be correct based on how mitochondrial DNA is important to cell function and because everyone obtain mitochondrial DNA from their mother. I think this could be controversial. This research would be beneficial for those experiencing difficulty getting pregnant. However, it might be problematic for all of those involved. Such problems that could arise are: does this female donor have any rights? (e.i., is it her baby too?) and who are the child's biological parents? (i.e., all three of these persons or just the male and one female, but in this case, which female?). Additionally, what would be the screening for the donor female's mitochondrial? Since there are mutations that are specifically mitochondrial based. Although this would a step forward, it would have to be done with precautions. There are so many women out there that would love to become moms and due to ovulation problems for example, they cannot release eggs and will not get pregnant. This procedure could be a solution for infertility. In the comment above, it was mentioned which of the donors will have rights when it comes to the baby? Since this is something very delicate I am sure donors would have to sign papers in regards to this matter. Many people like to become donors just so they can help others, not necessarily because they want babies.